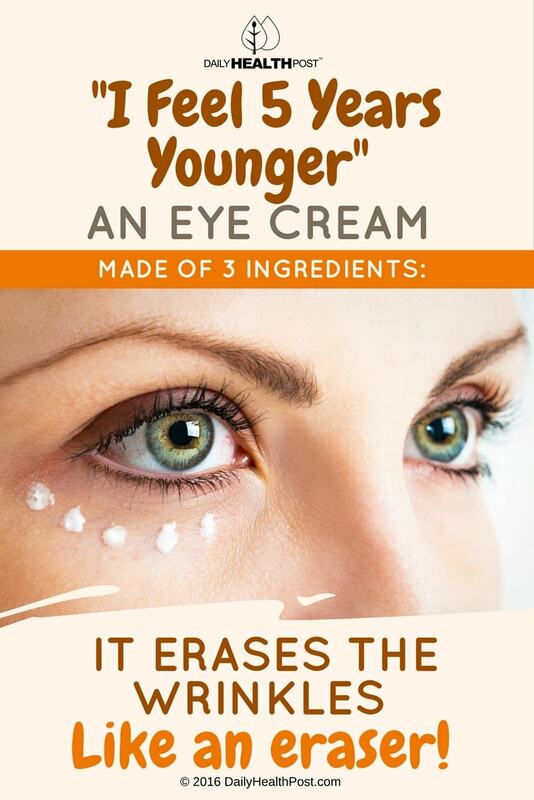 I Feel 5 Years Younger – An Eye Cream Made Of 3 Ingredients: It Erases Wrinkles Like An Eraser! One of the most telling signs of aging is wrinkles. 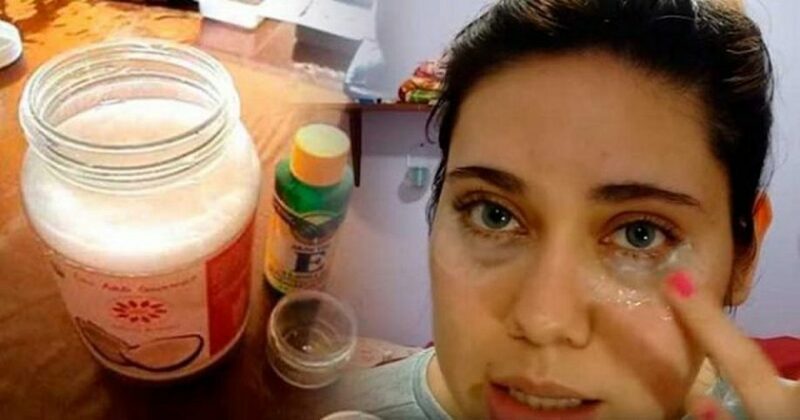 And once they’re there, there’s almost nothing you can do to get rid of them And since the skin around your eyes is thin and delicate, it’s more prone to wrinkles as you age. Exposure to ultraviolet light, smoking and exaggerated facial expression also contribute to the formation of wrinkles (1). To fight wrinkles before they appear and diminish their appearance once they’re there, make this simple cream. The recipe below is hypoallergenic but should be patch-tested on the back of your hand before use. Wrinkles became present when cells divide more slowly as the upper layer of skin starts to thin. This skin is more prone to injuries and damage (2). The deeper layers also begin to loosen and the sebaceous glands shrink, making your skin dryer and dryer. Dry skin makes wrinkles more obvious, so keeping your skin moisturized will improve its overall appearance. Use this cream an hour before bed for best results and apply a light moisturizer in the morning to keep your skin at its best. Add ingredients in a small bowl and combine. Transfer to a small container with a lid and store in your refrigerator. To use, use your fingertips to apply a bit of cream under your eyes and lightly massage onto wrinkles before going to bed. Coconut oil is rich in antioxidants that fight free radical damage. It also moisturizes your skin to reduce the appearance of wrinkles in the process of being formed. The result is smooth youthful looking skin (3). Thyme oil is a potent anti-inflammatory substance that also protects your skin against harmful bacterial and fungal infections. Plus, thyme oil is effective in healing burns, wounds, eczema, dermatitis, psoriasis, rashes, cuts and sores. Plus, it can be beneficial for stretch marks, scars, and burns (4). Latest Headlines » Anti-Aging » I Feel 5 Years Younger – An Eye Cream Made Of 3 Ingredients: It Erases Wrinkles Like An Eraser!